Originally published in the NZ Pipe Band magazine, reproduced with permission, photos from Scots College. 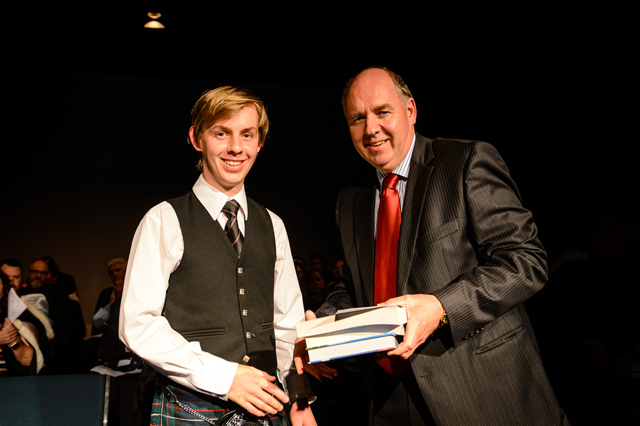 In 2018, Louis Davis was awarded Dux for the IB Diploma and Matt Bloomfield was awarded Dux for the NCEA stream. By an amazing coincidence, both Louis and Matt are members of the Scots College Pipe Band in leading roles with Louis the Pipe Major and Matt the Pipe Sergeant. Congratuliations to these two talented young men on their outstanding dual successes. Louis and Matt commenced lessons on the practice chanter the same week some 6 years ago at the beginning of Year 8. Matt told Louis where to sign up! Louis had wanted to play the pipes at a young age well before he knew that Scots College even existed. Louis is perplexed as to where this yearning came from as there are no relatives or friends who play. “The family joke is that it must have happened when Mum, who was pregnant with me at the time, went to the Edinburgh Tattoo in March 2000. True or not it’s as good a story as any.” For Matt, seeing the Scots College Pipe Band perfom at school events led to his interest in learning pipes. In most things I do I strive to do the best I can, and I know I’ll never be my best if I don’t try to improve every day. Also as Pipe Major I need to set a good example for playing, especially for the newer band members. I compete in solo piping events and the standard there is so high that there is little choice but to improve. I’m lucky to have two very talented tutors (Marion Horsburgh for Piobaireachd and Stu Easton for light music) and certainly looking at their achievements over the years encourages me to improve. The band is similar to a sports team – we have our competition season, we practice, we compete. The opportunities that came from belonging to the pipe band are its biggest benefit and we’ve been lucky with the opportunities we’ve had – whether it’s leading the Wellington ANZAC Centenary parade through the city, meeting new people in the pipe band community, improving leadership skills, playing at the Scottish Nationals, or providing the background music for Peter Jackson’s latest movie, there have been too many benefits to list them all. I played rugby up until Year 10 but one game I got injured and couldn’t play the pipes (or rugby) for several weeks. I didn’t want that to happen so stopped rugby to focus on piping. I enjoy fishing/surf casting during the summer and while this is generally unsuccessful like any fisherman I live in hope that someday that will change and that I will land that 20lb snapper or kingfish from the shore in Wellington. To be at the school since Year 7 and to finally be at the top in Year 13 was an unreal and enjoyable experience. While it was no mean feat to balance everything I enjoyed every second of it. Being surrounded by talented young pipers I know through the Scots College Pipe Band and New Zealand Youth Pipe Band as well as various band and solo competitions has inspired me to work hard to improve my bagpiping ability. Performing with them motivates me to continually improve my standard of playing. 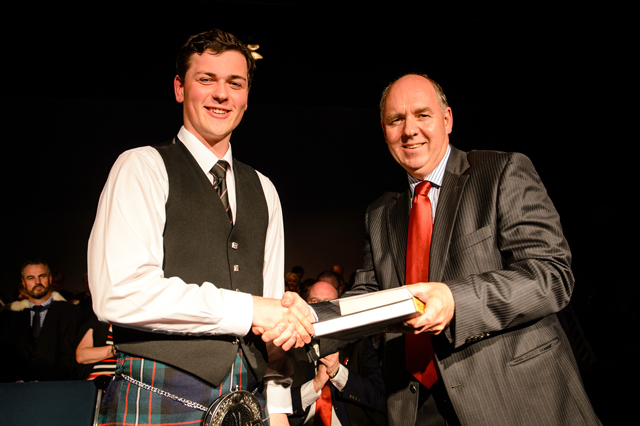 The Scots College Pipe Band has been instrumental in allowing me to pursue my piping goals. The availability of high quality tutoring and help meant I was always able to improve. The involvement of the band in a number of school and other events throughout the year means there is always motivation to improve in order to maintain a high performance standard. I found being surrounded by other like-minded people my age made my involvement in the Band fun and worthwhile. An obstacle I encountered during my time in the pipe band was finding the time to practise and go to band practice. I was able to overcome this by managing my time and prioritising practice when I could. I have a number of other hobbies including mountain biking, skiing, running and playing the guitar. Many of my highlights from my time at Scots involve the Pipe Band. The 2016 Pipe Band trip to Scotland Is one of my favourite memories. Some words of advice to offer young pipers and drummers in balancing multiple pursuits whilst achieving academically…. I found that my studies and music complemented each other very well. There are a lot of skills that are applicable in both of them. Working hard in one area always helped me to achieve in the other area – Matt. In 2019, Louis will be studying mathematics and physics at the University of Otago. He will also be taking the Bagpipe Music Performance paper, which is an excellent way to incorporate piping into university life. Beyond that he would like to include post graduate study, and piping, in the UK. Matt will be studying Engineering at Canterbury University in Christchurch, where he plans to join the Scottish Society Pipe Band to continue his bagpiping. After University Matt wants to travel around Europe, hopefully playing the pipes along the way.